If you’ve gone through any kind of arts education, you’ve read (or at least heard of) John Berger’s Ways of Seeing – a book detailing with how we look at paintings and what this gaze reveals. Berger is a prolific writer and I am always amazed to see the titles attributed to his name. While at residency, my Graduate Seminar professor leant me his copy of The Shape of a Pocket, a book full of vignette’s about artists that is his call of resistance against the New World Economic Order. I plan to read the book in full, but for now I’ve been picking through the various essays. 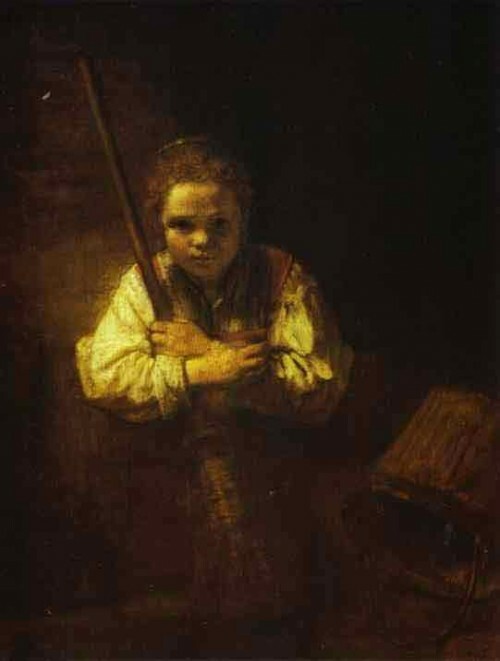 The very first one I read was on Rembrandt and how painting and drawing played very different roles in his life. As Berger puts it, “painting – particularly in the second half of his life – was… for him a search for an exit from the darkness.” Drawing was a way to record the world around him. While he was a careful draughtsman in his drawings, he approached the canvas in a completely different way. He painted with no preparatory drawings, and there seems to be no real consideration for physical space. He tried to paint people in the most intimate and compassionate ways. Berger sees this as stemming from the time period – Rembrandt’s feelings about the plague that was continuing to sweep through Europe. I have always loved Rembrandt’s work. For the first year I lived in London, I used to go to the National Gallery and draw Hendrickje Bathing in the river. I can see what Berger is getting at when I look at this image. It really is an exit from the darkness through a touching, intimate moment. Here are some other paintings that are either mentioned by Berger, or I believe contain a similar sentiment. 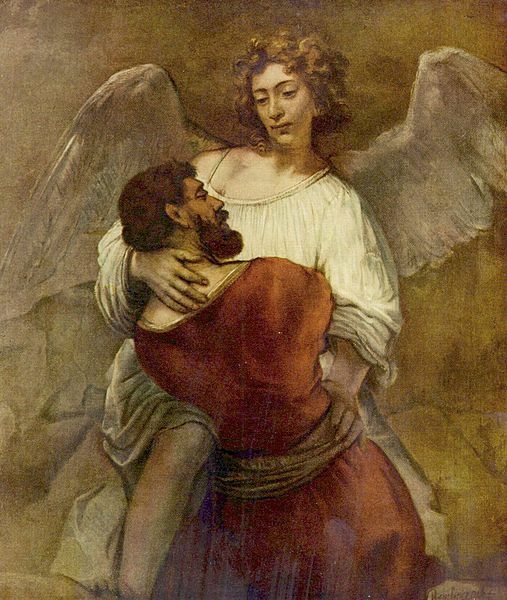 Jacob Wrestling with the Angel. circa 1659. oil on canvas. 137 × 116 cm (53.9 × 45.7 in). Berlin, Gemäldegalerie.